Planning a special event? WRHS can help! From gears to gardens, Western Reserve Historical Society is the venue for your next event. Throughout the Cleveland History Center in University Circle, guests enjoy stunning décor, classic architectural detail, and historic collections from cars to clothes. Dance and dine among the cars in the Crawford Rotunda, recite your vows in the picturesque Hanna Garden or host a cocktail reception in the historic elegance of the Hay-McKinney House. With distinctive settings and flexible floor space, the museum is a great venue for corporate events, client entertainment, holiday parties, birthday parties, weddings and more. For info and availability at the Cleveland History Center email sales@wrhs.org or call 216-721-5722 x1405. Conveniently located between Cleveland and Akron, nestled in the heart of the Cuyahoga Valley, is Hale Farm & Village. 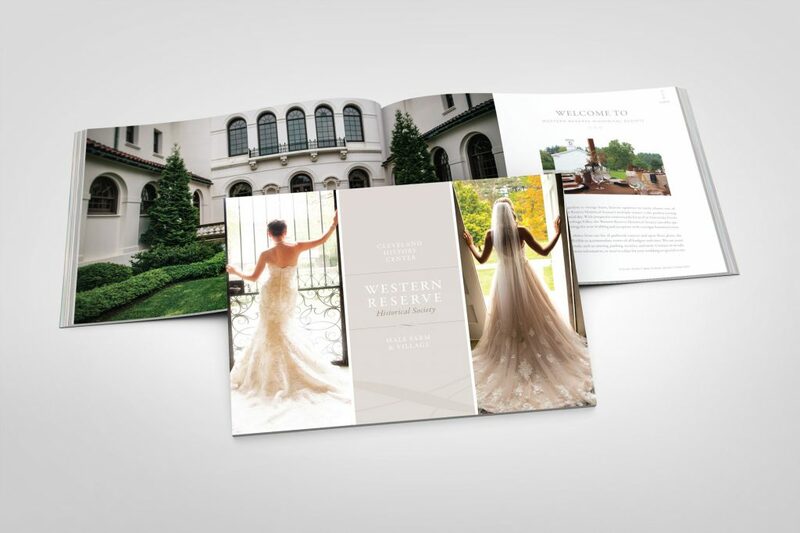 Surround your guests in the picturesque setting of our 90-acre grounds. The charming historic buildings dating from the mid-19th century are clustered around a pristine village green. Hold your historic moment in the 1850 Greek Revival Meetinghouse. Entertain clients, friends, and family in the Gatehouse or use our grounds for your next picnic or family reunion. For info and availability at Hale Farm & Village email halerentals@wrhs.org or call 330-666-3711 x1718. Click the above image to see our rental brochure!